Recently, Meitrack has made a big breakthrough in Mid-East M2M network application by reaching strategic cooperation with Meydan Group, property of Dubai Royal Family. 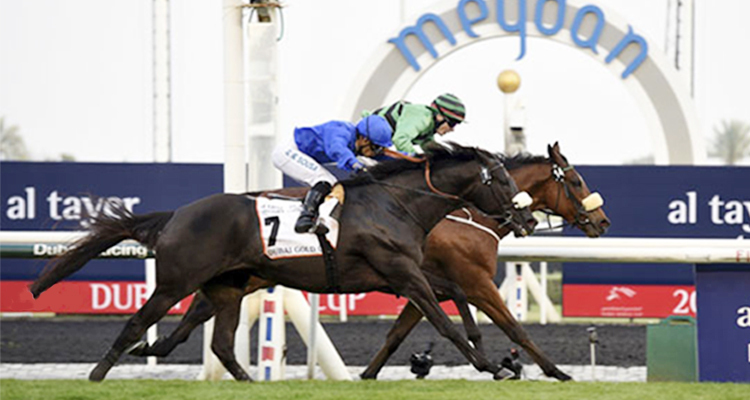 Over the years, Meydan has been holding and participating in a large number of well-known horse racing events, including Dubai World Cup 2018. Although Meydan does a great job in the coordination of the event, some assistance is needed when it comes to locating a horse and its rider. Using a custom tracking system and the new personal 3G GPS tracker, the P99G Meitrack has created a solution for Meydan which can easily locate horses and communicate instantly with riders. The P99G has proven to be perfectly suitable for Meydan thanks to its outer shell, which makes it water resistant and dustproof with an IP67 rating. The P99G was also selected as the ideal GPS tracker solution thanks to the 19 hour working battery life that made it possible to track either the riders or the horses for the entire duration of the race. Once the devices are attached to horses or carried by the riders, the P99G provide real time locations, which tracked the whereabouts and relayed the information to the management staff. Meitrack Group established in 2002, is headquartered in Shenzhen, China. Since its foundation, Meitrack has dedicated itself to the on-going pursuit for excellence in the Telematics field. In doing so, Meitrack has grown to become a leading Telematics and solutions provider. Aiming at sound and stable development and adhering to the strategy of “going global”, we have a global reach with offices in California, Dubai, Hong Kong, and Taiwan, a growing international distribution network, and capability to deliver services in more than 170 countries and regions worldwide.